Just as we are getting set for the long and dreadfully hot summer ahead, a welcome drizzle came unannounced. 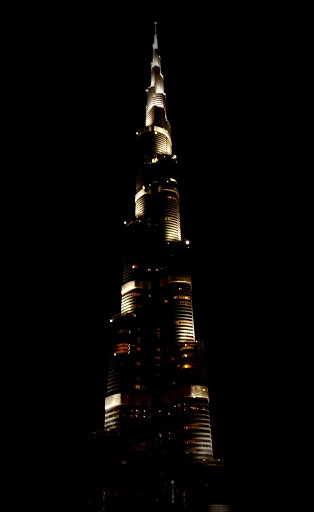 Having attended a conference near Dubai mall a few days ago, i was walking to the metro through the recently constructed metro link and there she was standing proud and tall as always. 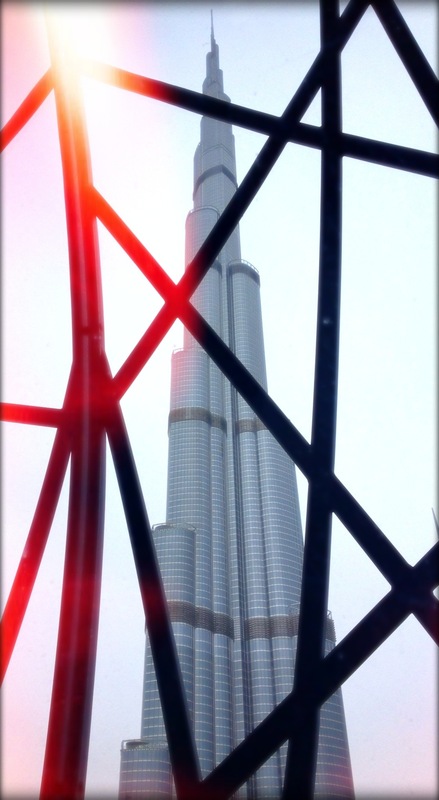 I paused to look and took this photo – an obtrusive view of the Burj Khalifa through paned glass, with the sun peeping out of the clouds on one side. Here’s one more, taken sometime back – a more commonly viewed sight at night when the lady is dressed in a shimmering and awe-worthy evening gown! I’m not really rushing to go up the tower and see the view from above anytime soon, but if you choose to come to Dubai and do that, you can find more details here! I am going to Dubai in November! Definitely give me a shout Jenny- I live in Dubai, would love to catch up if free!